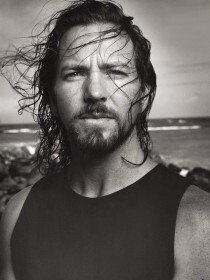 Eddie Vedder (born Edward Louis Severson III; December 23, 1964) is an American musician and singer-songwriter who currently serves as the lead vocalist and one of three guitarists for the American alternative rock band Pearl Jam. Vedder left the Southern California music scene and moved to Seattle, Washington in 1990 to join Pearl Jam where he rose to fame amid the grunge movement of the early 1990s. He is notable for his baritone vocal style, and widely considered a cultural icon of alternative rock. He was also involved in other things, including soundtrack work and contributions to albums by other artists. 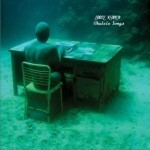 In 2007, Vedder released his first solo album as a soundtrack for the film Into the Wild (2007). His second album, Ukulele Songs, along with a live DVD titled Water on the Road, are scheduled for release on 31 May 2011.